You may remember me stating that one of my goals for 2019 was to become better at meal prepping! Being a full time yoga + barre teacher, most of my time is spent in the car, driving from one studio to the next which leaves me with very little time at home to cook a nutritious meal. Also, my husbands job, often requires him to be on the road for many hours at a time. His work is mostly done in rural areas. In my attempt to not break the bank via eating out - which isn’t the healthiest anyways.. - WHILE still providing my family with the utmost nourishment, I am diving head first into meal prepping on Sundays! Who wants to join me? For whatever reason, I made meal prepping out to be this daunting task that I inevitably avoided. After putting those nagging voices to rest, I dove right in. If I’m going to make quinoa, why not make enough to last the entire week rather than simply one meal? Also, meal prepping has been made easy with the @Rubbermaid TakeAlong Meal Prep containers. You should see my fridge right now! I’ve got stacks on stacks on stacks. I’ve made enough to satisfy both myself and my husband all week! The containers have dividers which allow for separation of your meals. Easy click on lids and better yet, they’re #BPAfree. Firstly, I started off making heaps of rice, black beans and quinoa. Secondly, whatever veggies I have on hand, I sauté with my favorite herbs and spices. I love adding quinoa to baby kale and salad dressing for a super powered, protein packed salad! Or my latest obsession is tahini bowls. 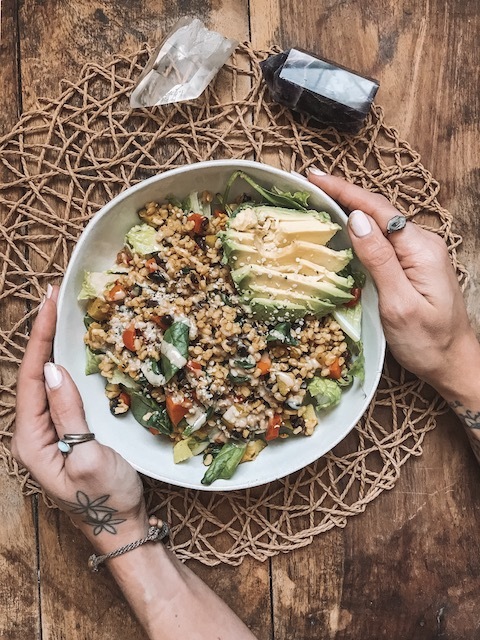 Think black beans and rice, mixed with your favorite veggies, herbs and spices, on top of a bed of greens with tahini and avocado. I sprinkle lemon on the avocado to help keep it green. It’s my current winter obsession. 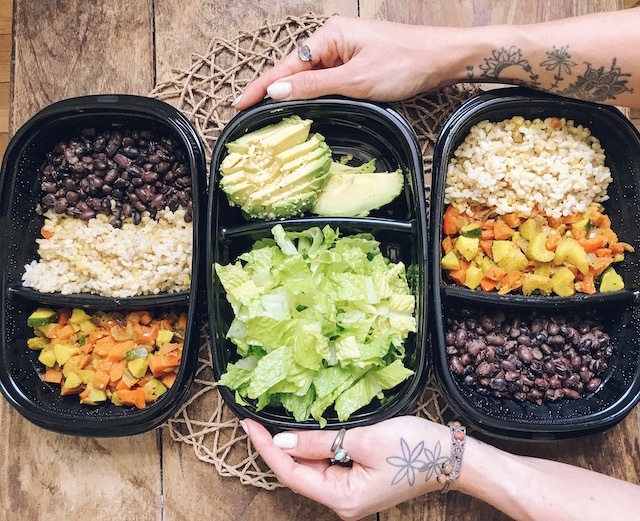 What are some of your favorite meals to meal prep ahead of time? There you have it! Let’s continue to inspire one another to eat the best we can despite our excuses. :) You can find your own meal prepping containers here. Post sponsored by Rubbermaid®.